Volunteering is a chance to sleep in a local, Indonesian-style house, sample fresh, home-cooked fare and socialize with a group of inquisitive and friendly young Indonesians. Cianjur-West Java is a small town located in between two big cities, Jakarta as a capital city and Bandung as a province capital city. I and my friends, mostly English teachers would like to invite any volunteers to motivate and improve our student's English ability, because Cianjur town is off the beaten track, there is hardly any tourist around anywhere you go. Volunteers can get a free accommodation with a private room, and meals, especially for breakfast and lunch. They can also get a free tour in surrounding area. They can also learn Bahasa Indonesia if they want. Our programme was created in 2010 by a small group of English teachers who have been working for several years alongside Native Speakers. The reason that we created this programme is to help the local students and give them the opportunity to learn English with English speaking-people. Cianjur is a non-touristy place with few travellers, so meeting english-speaking people is particularly valued here. Syifa Nurul, is an English in a high school. She has been teaching English since 2011. Her English is wonderful and she is a nice lady. While the majority of teaching takes the form of one time visits to local schools. We are currently in the process of setting up an English School called “Brighton English School”. It’s an afterschool programme that students can attend after their day at the public school to develop their english skillls. Most of the students have a high motivation to learn English because the language expands their options for the future. Cianjur has many transportation options and is easily reached from Jakarta's Kampung Rambutan bus terminal. There are many half-hourly buses that go to Cianjur via Puncak Pass, a 3 hour journey (25.000 rupiahs economy/30.000 rupiahs air-con bus). After doing a volunteer project a few hours in a day, normally we usually take our guest to the tourist attraction, such as to the tea plantation, hotspring, botanical garden, climbing volcano, etc. Or guests can cycle on their spare time around the town, because we also provide bicycle for our guests. Thanks for joining our teaching volunteer program. Sarah is a great, reliable and easy going helper. She joined us for about eight weeks. I still dont believe it that she stayed in my place for eight weeks. She helped many different classes with different experiences. She visited some schools and taught English the local students, such… read more as Elementary, High School and university students. Most of the students really enjoyed studying English with her and of course many students always wanted to have a photograph with her, just like a celebritiy. Anyway, Sarah has a healthy life by running every morning. She can learn something new quickly. She taught English at schools and of course at our own school Brighton English School. She also had an opportunity to visit an active volcano in Bandung, visiting tea plantation, rural village, rice field terrace, floating village, hang out in the café (singing and dancing). When she would like to continue her journey, all of us were so sad, especially my students and my family. I personally will never forget her. One more, thanks for your help and I will definitely recommend Sarah as a helper. Good luck with your travels and your future. Hope one day to see you again. This truly is one of those memorable life experiences. Mr. Kumis is truly one of a kind and has an infectious enthusiasm for life. He is humble, kind and deeply passionate about teaching English. His deep commitment to teaching and helping his students improve their English has created a wonderful tight-knit community of passionate teachers and learners. Cianjur is fast becoming a central hub for English learning. Cianjur is a special place. Although a little bit off the beaten path, that is what makes it so great. I always felt very welcome and accepted wherever I went. The locals may be curious and ask you lots of question - this is sometimes to practice their English or simply because they are curious about you! 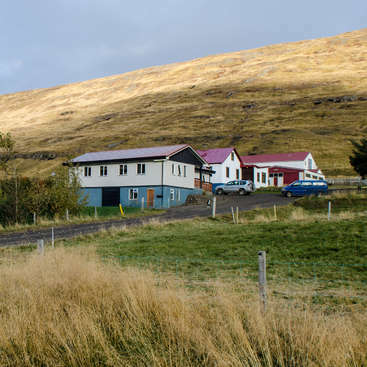 I highly recommend this workaway volunteer experience and believe it is best to stay for a long period to connect more deeply with the students and the community. I have fond memories of running through the streets of Cianjur in the early mornings, water rafting, participating in outdoor aerobics classes at the weekend and marvelling at the natural beauty of rural Indonesia. If you have any questions about this Workaway experience please feel free to message me, I am happy to help. Thank you for joining our Volunteer programme. They joined our program for one week. Actually one week was not enough to teach and share English in our program, because many students still wanted to learn English with them. Even though, they are not from English speaking country, but they speak good enough English. And the… read more most important is that they really care and pay attention to the students when they are speaking in English. They are easy going and hard worker volunteers. They know how to make the students speak up, even a few students are not really confident to speak. We still remembered, We did an outing activity by visiting a town square with two different groups, teenagers and adults. It gave them a new atmospher, not only studying in the classroom. They really enjoyed studying English with them. Thank you for joining our program. We will definitely recommend Yann and Elena as helpers. Good luck with your future. We spent a very intense week volunteering in Cianjur. Every day our schedule was composed of several classes in public and private schools, from the small children to the university. Each time we were received with a lot of enthousiasm by students and teachers. It can be really overwhelming and emotionally demanding, as people don’t see a lot of… read more foreigners here so you have to deal with their excitement but also with very shy students, trying to make them speak, asking questions, being really creative in your approach to different ages and levels of English. So be ready to speak a lot, answer a lot of questions about yourself and your country. Also, you have to be really easygoing person, because your schedule is often known right before the class, so don’t expect to know everything in advance. 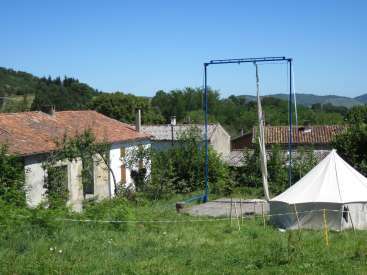 The accommodation is very basic, so you have to be ready for that too. But Kumis and his family are so warm, devoted and motivated people that they will make you feel home at their place. We want to thank Kumis for his warm welcome, good vibes, interesting conversations about Indonesia and also to thank all the team for making us taste so many different Indonesian dishes we loved a lot ! Thank you for joining our Program in Cianjur-West Java, Indonesia. They joined our program for two weeks. They are a great couple. They are brilliant and patient to teach English with the students. They aree so patient to teach children. The students will never forget both of you. They taught how to speak English properly. They… read more also did a sightseeing tour to the megalithic site and tea plantation. They went to the rice field and jungle, floating village. They also had an opportunity to visit an active volcanoe in Bandung. In the evening, we sometimes hang out in a cafe. They really like local food, especially spicy food. We will definitely recommend Kate and Sam as helpers. Good luck with the future and have a nice trip. My husband and I stayed 2 weeks with Kumis and his family in Cianjur. We taught so many classes and age groups and met so many wonderful people. The students don't often get to see foreigners, so they are genuinely excited to meet you and thankful for your time. The classes are at all different times from morning, afternoon, and some at night and… read more it took a little bit of getting used to not knowing where we were going until last minute, but helping to teach was so rewarding. I can wholeheartedly say that we got to know the community much better and were able to understand the Indonesian way of life way more than a normal "tourist" would. We met so many interesting people and excited students and made friends that we will keep in touch with. Kumis did everything in his power to make us comfortable and took us sightseeing on our days off even though he is clearly very busy himself. Although the days were sometimes tiring, this experience was very rewarding. Thank you Kumis for opening your home and community to us. We will not forget our time in Cianjur! Thank you for joining our Volunteer Program in Cianjur-West Java, Indonesia. Ally joined our program for about three weeks. She is a smart, cool, enthusiastic and reliable woman. She always had something to encourage the students spoke up, so the students really enjoyed learning English with her. She always gave a high motivation to… read more the local students. Her teaching experience is so useful for our students, many students wanted to study and practice their English with her. When she was in Cianjur, so many people always said hello to him and they always tried to say something in English. She is one of the best volunteer. Anyway, not only teaching, we also did a sightseeing tour, such visiting floating village, rice paddy, archaelogical site, and doing rafting. My family, really missed her. We hope one day we can see her again. Thank you for joining our program. We will definitely recommend Ally as a helper. Good luck with your future. I had an amazing time living with Kumis in Cianjur! This was my first workaway experience and I am so happy I went here for 3 weeks. The teaching was so fun and rewarding and you get to meet new people all the time. The kids and adults that you teach are so grateful and treat you very nice. Since there are not a lot of tourist visiting in Cianjur… read more you will get a lot of positive attention and people will want to take selfies with you and practice their English. Kumis's family and friends are so nice and will make sure you feel happy and comfortable. On the weekends you will get to visit new places and have some amazing experiences. This is also a great way to experience a more traditional Indonesian lifestyle - live in an Indonesian home, eat delicious home cooked Indonesian food, interact with Indonesian kids and adults, visit many different local places. I definitely recommend this workaway experience to everyone. Thank you Kumis!!! Thanks for joining our teaching volunteer program in Cianjur-West Java, Indonesia. Loes is a Belgian girl who joined The Program in Cianjur, West Java for one week. Her English is wonderful. She shared her English with the Elementary students in Cianjur, and adults class. They really like her. She is so patience the children. We also… read more did a sightseeing tour, such as to the tea plantation, rice field terrace, the rural village, and rural village. We hope one day she can join our program again. Thank you for joining our program. We will definitely recommend Loes as a helper. Good luck with your future. My stay in Cianjur was one of the highlights of my three-month trip through SEA. Kumis welcomes you into his family with a lot of enthusiasm. The food they prepare is really good (actually everywhere in Cianjur I was offered really great food). You get to meet many friends of Kumis, who are all very welcoming. It’s so easy to feel at home. The… read more teaching is not difficult, it’s great fun. The children mainly need to get motivated to step out of their comfort zone and talk to a native speaker. The classes are quite big so it can be overwhelming at first but the the teachers stay with you and help you. It would have been better to stay longer because I would have liked to get to know everyone better. I didn’t have the time, but if you do I suggest to stay more than one week! It’s an experience I will never forget. Thanks for joining our teaching volunteer program in Cianjur-West Java, Indonesia. Lizzie is a reliable and easy going helper. She joined the programme in Cianjur West Java for about two weeks. She helped my classes at home. They also visited some schools and taught English the local students, such as Elementary and High School… read more students. The students really enjoyed studying English with her. She did great things for the teachers and students. In their free time, I took her to some nice places, such as visiting the tea plantation, volcanoes and hotspring in Bandung. She also really enjoyed the local food. One more, thanks for your help and I will definitely recommend Lizzie as a helper. Good luck with your travels and your future. Hope one day to see you again. My experience teaching English here was fantastic - I had the TEFL qualification but had never actually tried teaching a class and Kumis was able to let me try teaching classes of many ages and abilities e.g. adults in a prison, teenagers in a high school, little kids in an English club so it was great to try all of that and see how it fit for me,… read more plus to get to experience so many different environments and meet so many people all during one workaway. Thanks again Kumis and I wish you all the best for the future!!! Thanks for joining our teaching volunteer program in Cianjur-West Java, Indonesia. Tom and Katie are reliable and easy going helpers. They joined program in Cianjur West Java for about two weeks. They helped my classes at home. They also visited some schools and taught English the local students, such as Elementary and High… read more School students. The students really enjoyed studying English with them. One of the most impression with them when they helped me teaching teachers and bilingual students. They did great things for the teachers and students. Anyway, Tom is easy going and cool man. He can learn something new quickly. Katie is a wonderful and cool woman. In their free time, I took them to some nice places, such as visiting the volcanoes and hotspring in Bandung. They also really enjoyed the local food. When they would like to continue their journey, all of us were so sad. One more, thanks for your help and I will definitely recommend Tom and Katie as helpers. Good luck with your travels and your future. Hope one day to see you again. We had a fantastic time staying with Kumis and teaching English in schools, clubs, the University and the prison. It was particularly rewarding visiting the rural schools where people were so grateful for our time and it was an absolute pleasure speaking English with them. Cianjur is not particularly touristy but people were very friendly to us,… read more although you do have to respect the culture as you should. Kumis was very friendly and helpful and has an excellent teaching style. Some of the students we met in his English classes were fantastic company. Thanks for joining our teaching volunteer program in Cianjur-West Java, Indonesia. She joined The Volunteer in Java Program in Cianjur West Java for a week. Actually, one week was not enough to do a volunteer project. She visited some schools and taught English the local students, such as Elementary and High School students,… read more especially Christian and Moslem Schools. The students really enjoyed studying English with her. Anyway, Kirsten is easy going and hard worker. She is also really passionate and dilligent to help the students. In our program not only teaching activity, but she also did a sightseeing tour, such as visiting rural village, rice field terrace, floating village. I personally will never forget her. I hope one day, when she has a chance to visit back Indonesia. I will be glad to host her again. One more, thanks for your help and I will definitely recommend Kirsten as a helper. Good luck with your travels and your future. Irwan was one of the most accommodating host I’ve ever had. I spent a week in his charming town teaching at Christian and Muslim schools. His students were always so eager to learn English. The workload was never overbearing and the meals he provided were always delicious. I promise that you will have the biggest smile on your face while in… read more Cianjur! Thanks for joining our teaching volunteer programme. Anna and Lucy are awesome, energetic and brilliant helpers. They also have a great patience when they had to help primary school students. They are vegetarians and really like spicy food. They joined us in Cianjur West Java for about ten days. They gave a memorable experience… read more for our students. They taught and shared English with our students, either in the public schools or my students. The students had an opportunity to learn better English. Our students were so enthusiastic to learn English with them. In spare time, we did a sightseeing tour in surrounding area, such as visiting the rice field terrace, visiting the village. Thank you for joining our programme. I will definitely recommend Anna and Lucy as helpers. Good luck with your trip. Our visit to the family house was very enjoyable as they are all so welcoming. It's a really fun experience to get involved with and all the students you meet are extremely kind. They cooked everyday for us and the food was really great, catered to us both being vegitarrian so well :) thank you very much again for having us! Thanks for joining our teaching volunteer program in Indonesia. Marta and Ruvinder are great and reliable helpers. They joined The Volunteer Programme for about ten days. They visited some schools and taught English the local students, such as Elementary and High School students. Anyway, Marta is an easy going and cool… read more girl. She can learn something new quickly. Ruvinder has a strong British accent, so my students could learn English properly. They also had an opportunity to do a sightseeing tour with the students, such as visiting the archaeological site, tea plantation, rural village, rice field terrace. They also did a mountain bike to rice paddy. They also really enjoyed the local food, I personally will never forget them. One more, thanks for your help and I will definitely recommend Marta and Ruvinder as helpers. Good luck with your future. Thank you so much for welcoming us to your home. We had an unforgettable experience teaching all the students and feeling like we were part of the community. Thank you for joining our Volunteer in Indonesia. Vanessa joined our program for two weeks. She is a smart, patient, and talkactive woman. What I really appreciate was helping my students aged 10-11 years old that she was so patient. I knew it needed a big patience. Although she is not an English teacher, but when she was teaching in… read more the class, she knew how to make the students spoke up. Her positive influence had a great effect for the development of the students English. We also did sightseeing tour, such visiting floating village, arcahelogical site, rice paddy, tea plantation, volcanoes and hotsprings, etc. We also did a cycling tour to the rice field, I knew It was hard for you. My family really missed her. We hope one day we can see him again. Thank you for joining our program. We will definitely recommend Vanessa Pereira as a helper. Good luck with your future. Hi Kumis, thank you so much for receiving me at your home and for the unique opportunity to teach English to such amazing students! I recommend Kumis and his team if you're interested living in a local indonesian house,having the opportunity to teach English in different schools to students, teachers and even going to a prison. I promise you,… read more everyone is going to receive you with so much love, interest and a genuine smile! Please send my love to your family, your amazing team who was there for me every time and all the students that made smile after every class! Thank you for joining our teaching volunteer programme in Cianjur-West Java, Indonesia. Mama Ana is a great helper and reliable. She joined The Volunteer in Java Programme in Cianjur West Java for about two weeks. Two weeks was a perfect time to do a volunteer project, because she had plenty of time to do a volunteering and doing a… read more sightseeing tour. She visited some schools and taught English the local students, such as Elementary and High School students. The students really enjoyed studying English with her and many students always wanted to have a photograph with her. Anyway, Mama Ana is easy going and hard worker. She can also learn something new quickly. In our programme not only teaching activity, but she also did a sightseeing tour with the students, such as visiting the archaeological site, cycling tour, tea plantation, rural village, rice field terrace, Botanical garden, floating village, traditional market, water fall, hang out in the café, cooking together, shopping. And the most memorable time was hiking to the top of Mount Gede-Pangrango which was so tiring. She also really enjoyed the local food. Anyway, when she would like to leave Cianjur, All of us were so sad. One more, thanks for your help and I will definitely recommend Mama Ana as a helper. Good luck with your studies and your future. This project is amazing, volunteers are provided with so much in exchange for their work - excellent English teaching experience which is well supported and professional, lovely friendly team of teachers, assistants and family, superb food and trips around the area. What a dedicated, altuistic lovely project!!! I would recommend anyone to… read more volunteer - you will enjoy it and learn so much too. 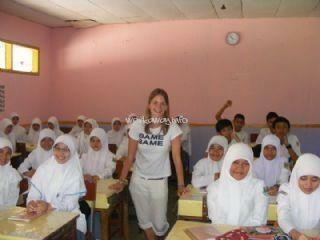 Thanks for joining our teaching volunteer program -West Java, Indonesia. Nabila is a great, reliable and easy going helper. He joined The Program for about four weeks. She gave me a great idea about running an English school. She speaks very good English. She visited some schools and shared English the local students, such as… read more Elementary and High School students. The students really enjoyed studying English with them and many students always wanted to have a photograph with them, just like celebrities. Anyway, She can learn something new quickly. In our free time, We also did a sightseeing tour, such as visiting the tea plantation, rural village, rice field terrace, Botanical garden, floating village, traditional market, water fall, hang out in the café (singing and dancing), Archaelogical site. We also did a mountain bike to rice paddy and the jungle, etc. He also really enjoyed the local food. I personally will never forget her. One more, thanks for your help and I will definitely recommend Nabila as a helper. Good luck with your travels and your future. Hope one day to see you again. This was my first workaway experience out of Europe, and my first teaching experience too. I feel very grateful that I was given the opportunity to visit different schools everyday, to teach not only to children but also adults. Despite some shyness, the students and the teachers were always willing to learn and share their own culture with me. Thanks for joining our teaching volunteer program. She is great, reliable and easy going helpers. She joined The Program for about two weeks. She helped me with the teacher’s class, afternoon and evening classes. She also visited some schools and helped English the local students, such as Elementary and High School students. The… read more students really enjoyed studying English with her and many students always wanted to have photographs with them, just like celebrities. At that time, she was the only english speaking people in town. We also did a sightseeing tour in our free time, such as visiting rural village, rice field terrace, floating village, traditional market, and tea plantation and volcanoes in Bandung. She really enjoyed the local food, especially Nasi Liwet. Anyway, I personally will never forget her. Thanks for your help and I will definitely recommend Djaja as a helper. Good luck with your travels and your future. Hope one day to see you again. I arrived in January for the first time in Indonesia, without any experience there. Kumis, his mom, John and Jeffrey all welcomed me with open arms. Cianjur was really easy to reach from the airport. It was cute and busy with no tourists at all. I stayed in total for 2 weeks. It was really good to have a base my first days here, with quite a full… read more schedule. From monday until friday I went to schools, various from Kindergarden to University, and even I went to a English class for teachers. I went there mostly to motivate the students to learn english, they were all so enthousiast and excited to see me, 'bule'. They gave me a lot of positive energy, everytime I left the school with a big smile. Also, the teachers and many other people in the schools I met, were so open and friendly, and they were always in for a talk about the school, and our cultures. In the weekend we did nice activities, I went to a wedding, we did a biking tour through the rice fields and we also went to Bandung. I am thankful for this amazing opportunity. I will remember this forever, with photos, writings, but mostly the wonderful memories in my mind. It was the best experience of workaway, fun and authentic !! Kumis is super nice and I had the chance to teach in so many schools and colleges. People are so friendly, welcoming and they take amazingly good care of the volunteers. A place to visit and to come again! Thanks for joining our teaching volunteer program in Cianjur-West Java, Indonesia. They joined The Volunteer in Java Program in Cianjur West Java for a few days, because we were heading a long weekend. Actually, A few days wasn’t a perfect time to do a volunteer project, because they don’t have plenty of time to do a… read more volunteering and doing a sightseeing tour, but they visited some schools and taught English the local students, such as Elementary and High School students. The students really enjoyed studying English with her and many students always wanted to have a photograph with her, just like a celebrity. Anyway, Nick is an easy going British boy with a thick accent and Hedda is a charming Norwegian girl which her English is so perfect. They are also really passionate to help the students. They also did a sightseeing tour to visit floating village. I personally will never forget them. Thanks for your help and I will definitely recommend Nick and Hedda as helpers. Good luck with your studies and your future. We had a great time during out 4-5 days with Kumis in Cianjur. It was not too difficult to get to Cianjur although its a touch out of the way from Bandung / Jakarta. We taught most days we were there for around 4 hours, a bit more some days and less others. The teaching was not too structured as we were only there for a short period, as such the… read more classes were simply around us introducing ourselves, asking and answering questions, and helping students practice their english. Kumis and his helpers John and Jeffery were super helpful throughout our stay in showing us around and taking us to the rice paddies etc. All in all I would really recommend this work away! Thanks for joining our teaching volunteer program in Cianjur-West Java, Indonesia. Anton is an Italian man who joined The Volunteer in Java Program in Cianjur, West Java for a week. He shared his English with the Elementary school, even high school students or even a teacher’s class, and they really like him, because He is so motivated… read more where he is on a class. Anyway, Luca is easy going and cool man. He can learn something new quickly. We also did a sightseeing tour, such as to the tea plantation and the volcanoes in Bandung, hangout in the café. At the beginning, the students were so shy to speak English with him, but in the end they spoke and became talk active. We were so sad when he had to leave. We hope one day he can join our program again. Thank you for joining our program. We will definitely recommend Anton as a helper. Good luck with your future. The only word to describe this workaway experience is: Wonderful! Unfortunnately I stayed only one week because of my visa but everything was amazing. Kumis and all his team made me feel at home from the first day I got Cianjur. The work is pretty easy and funny, practically consists in visiting the students in different school of the city and… read more have conversations with them in order to improve their English skills. Almost all the students can speak a bit of English so the work is not so hard but is funny because all them are really amazed by having western guests so they are really curious about our cultures and our life style. It was absolutely a great experience! I had a great experience staying and teaching with Kumis. Him and his family showed me a heart warming hospitality, and I could not have imagined a better start of my travel than being here. 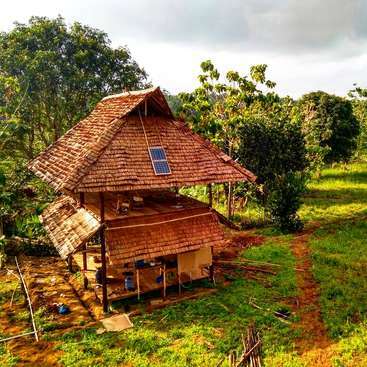 It was such a great and different experience to see an Indonesian home from the inside, and even though I was only there for two weeks, it felt like much… read more more. It is a wonderful project Kumis have, and the amount of work and hours he puts into it is really impressing. The project is so diverse that you get to meet and teach many different people and kids, from different ages to jobs, to religions, and so on. The very best part of being in Cianjur, besides from Kumis and his lovely family, was meeting and talking to so many of the local people through the lessons, and learn about their everyday life. Also John and Jeffry, two friends of the house, made my experience memorable, as they put a lot of time into taking me out, introducing me to people and in general showing me a good time. Thank you guys! I would definitely recommend this project to anyone who is interested in seeing a part of the Indonesian culture away from the big cities and Bali. I don’t think you will regret going to Cianjur and staying with Kumis. Thanks for joining our teaching volunteer program in Cianjur-West Java, Indonesia. Carolina and Malte are great, reliable and easy going helpers. They joined The Volunteer in Java Program in Cianjur West Java for about two weeks. Actually, two weeks is not enough to do a volunteer project in Cianjur, West Java, but they… read more have been great. They visited some schools and taught English the local students, such as Elementary and High School students. The students really enjoyed studying English with them and many students always wanted to have a photograph with them, just like celebrities. We really enjoyed teaching bankers. Many bankers are so excited to learn English with them. Anyway, Malte is easy going and cool man. He can learn something new quickly. Carolina is a wonderful woman. In our program not only teaching activity, but we also did a sightseeing tour, such as visiting the tea plantation, rural village, rice field terrace, floating villagewater fall, hang out in the café (singing and dancing) and also climbing to the jungle. We also did a mountain bike to rice paddy and the jungle, etc. They also really enjoyed the local food. When they would like to leave our town, all of us were so sad. I personally will never forget them. One more, thanks for your help and I will definitely recommend Carolina and Malte as helpers. Good luck with your travels and your future. Hope one day to see you again. Our experience was very pleasant, fun and local! We had the chance to meet very nice people, teach in different surroundings (students, people in prison, kindergarden) and enjoy day trips with Kumis, Jeffrey and John; e.g. floating village, archeological side. The family was welcoming and easy going. Thank you for joining our Volunteer in our Program in Cianjur-West Java, Indonesia. Jakob is a smart, cool, enthusiastic and reliable man. He is an English teacher and one of the best volunteer we ever had, although he only joined our program for a few days. Anyway, when he was teaching in the class, he always had something to… read more encourage the students spoke up, so the students really enjoyed learning English with him. He always gave a high motivation to the local students. His teaching experience is so useful for our students, many students wanted to study and practice their English with him. And the teacher’s class really enjoyed learning English with him. We hope one day we can see him again. Thank you for joining our program. We will definitely recommend Jakob as a helper. Good luck with your future. Thank you for joining our Volunteer in Java Program in Cianjur-West Java, Indonesia. Alice joined our programme for two weeks. She taught in some public schools in Cianjur and also in our English school “Brighton English School”. She also helped my previous university in Bandung where most of them speak and meet English speaking… read more people for the first time. She is a smart, brave, enthusiastic and reliable english teacher. She always wanted to try something new. When she was in the class, she knew how to make the students spoke up and many students always wanted to have a picture with her. With her teaching experience, many students wanted to practice their English with her, even before the students were so shy to speak English. Her positive influence had a great effect for the development of the students English. She did not only do a teaching activity, but she also did a sightseeing tour with us, we visited the tea plantation, rice field terrace, rural village and go cycling to the countryside. We were so sad when the permit almost expired. She was so emotional when she had to leave Cianjur. My family really missed her and even my neighbor still remembered her, especially children. I hope one day she can join our programme again. Thank you for joining our programme. I will definitely recommend Alice Jenny as a helper. Good luck with your future. i have stayed here for 2 weeks and had a great time. Kumis and his family and friends all have a huge heart and take care of you like family. Visiting many different schools was a great experience, I got to connect with so many amazing people. This was my first workaway and I really enjoyed it. Thank you so much Rose for joining our volunteering programme in Cianjur, West Java. Rose is a very kind person and easy going. She can create a creative way to teach and motivate the students. Most of my students really like to study with her. Working alongside Rose gave us with new and varied challenges and experiences every day. She… read more taught English to a range of ages, from young children to adults but the emphasis was always on the fact that this was a cultural exchange. Therefore, we learnt a lot about the UK as we taught the students. Thanks for your help and I will definitely recommend her as a helper. Good luck with your travels and your future. Hope one day to see you again. To all the gang and friends! This has been an excellent experience. I had never taught before, but I thoroughly enjoyed it. Maybe it will be my new vocation! I will bring with me fond memories of my time here and maybe someday I will return to climb the volcano.... Hopefully! Keep up the great work. Your passion and energy is inspiring kumis. Thanks for joining our teaching volunteer program in Cianjur-West Java, Indonesia. She is great, reliable and easy going helpers. She joined The Volunteer in Java Program in Cianjur West Java for about two weeks. Actually, two weeks is not enough to do a volunteer project in Cianjur, West Java, but she has been great. She visited… read more some schools and taught English the local students, such as Elementary and High School students. The students really enjoyed studying English with her and many students always wanted to have photographs with them, just like celebrities. She taught English at schools. In our program not only teaching activity, but they also did a sightseeing tour with the students, such as visiting rural village, rice field terrace, floating village, traditional market, water fall. She also really enjoyed the local food. When she would like to continue her journey, all of us were so sad, especially my family. I personally will never forget her. One more, thanks for your help and I will definitely recommend Kerstin as a helper. Good luck with your travels and your future. Hope one day to see you again. I would highly recommend coming to volunteer and stay with Kumis's program! It was such a wonderful experience helping to teach English at multiple schools of all ages from Kindergarten all the way up to university students! Everyone was so welcoming and hospitable at every school I was sent too. I also really enjoyed teaching the private… read more conversational classes held at different locations too. It was such an amazing experience especially since I have been wanting to volunteer abroad for a long time now. :) I hope to return and hope all the students are keeping up with their English language skills! Thank you so much to Irwan for all his coordination and dedication to helping students and bring volunteers to Indonesia! Huge thank you too to all the teachers, drivers and students who I met and got to spend time with! Thank you for a truly wonderful experience in Cianjur. I have felt very welcome from the very beginning. You have all made me feel so at home at the house and during social activities. Furthermore you have introduced me to many really lovely people here in the city at the many schools and private lessons I… read more have been to. Thank you for always ensuring we have something to do in our free time. I thoroughly enjoyed Sabah hill, Gunung Padang, The Floating village, Fun-fun milk, pancakes, etc. Thank you to Mama for breakfast every day and doing my laundry for me!! Thank you to John and Jeffry for our wet and sometimes muddy, experiences and all the transporting around Cianjur. Kumis – you are an excellent teacher, your energy and enthusiasm is so inspiring and you really give your students an amazing learning experience. The program is a credit to you and I have no doubt that your lessons are unforgettable to your students. You are making a great impact on their lives. Also, a huge congratulations on the birth of your beautiful daughter Alice. It was a very nice surprise to see her before I left. Good luck with raising her to be bilingual! Thank you so much for everything you have done for us while we have been in Cianjur! The time we have spent here has been filled with so many smiles, and amazing times! We have enjoyed going to all of the schools and meeting so many lovely people and teachers. This city is definitely a beautiful place… read more filled with very welcoming people! Thank you Kumis for all of the planning and hard work you do for us volunteers and community. You definitely are an inspiration to so many people and the impact you have is huge! Keep up the amazing work. Thank you Mama for all of the delicious meals you have cooked for us and for always having toast ready when we wake up, you’re the best! Alaso thank you to John and Jeffry for always drivng us around (even when it’s pouring rain). We will miss playing cards with you and your smiling faces! This has been such an amazig experience for both of us and we can’t thank you enough! Hopefully one day we can visit again. I stayed here for about two weeks! I had an amazing experience. I would have loved to stay longer. Kumis was a great host! I had the opportunity to work at many different schools, everyone was very welcoming and helpful. I often had time to go sight-seeing! I would recommend staying at least two weeks! I stayed here for 2 weeks and it was a great experience. Kumis and his crew were great in looking after me, showing me around the town and just generally chatting n having a good time when not teaching. The actual teaching wasn't anything difficult and was mainly just making conversation with the students and letting them ask questions. This did… read more end up a little repetitive but all the kids were fun and enthusiastic which is infectious and it's great to be able to help out in this small town where without this program there would never be foreigners to help. Highly recommend this opportunity for a real immersion into Java and great opportunities to get to know local people as well as teach English in local schools that are tremendously grateful and receptive to your help! Kumis and his lovely family and friends take amazing care of the volunteers, every day as well as opportunities to teach English he… read more arranged sightseeing and delicious authentic meals out (as well as incredibly delicious home cooked meals daily from Mama JoJo). Kumis also took us to a wedding, which was a cool experience. You really feel at home in his house and always very safe. The community really respects and admires Kumis for all that he does to facilitate English teaching, and so you are warmly welcomed and treated incredibly well. The teachers and students of the schools I went to we're all so grateful to have an English speaker visit, and the teaching was mostly casual and fun but also well organized. My only regret is that I didn't leave enough time to stay here! Thank you Kumis, Jon and co. For everything! I spent 11 days with Kumis and his family and I couldn't be more grateful as they showed me the true Indonesian spirit! I went there during Ramadan so everything was a bit quiet and it was sometimes difficult to find a place for lunch but Kumis was always very helpful and always up for some cycling in the ricefields ;) I had the opportunity to… read more teach English in a Sailors' school, in a family, in a blood donation centre and in a prison, and I met people of incredible kindness and generosity. Cianjur was definitely one of the highlights of my trip. Thank you Kumis for everything! I want to say a huge thankyou for the past 10 days, not just for allowing me to teach English, but for showing me a side of Indonesian life I would not have got to experience. My highlight was Sop Durian, believe it or not! Thanks for taking me to all the sights of Cianjur. It really is… read more a great city. Thanks to Jefry for being my pancake café buddy, and documenting my story through numerous selfies on facebook! To all workawayers looking to do English teaching who havent done much before, this is a great choice. The program receives a good number of volunteers, the positive's of this is that it is very organised and you always have something planned, however having also taught English at a lesser popular program I am not sure I was as much of an influence on the student's English. Regardless of this I had a great time and would recommend it to anyone. The money contribution you make allows you to experience all the street stalls/restaurants without guilt and make the most of your chance to experience the Indonesian lifestyle. Dear Kumis, Yoyoy, Dewi, John, Jefry and all the teachers, Santi and Daniel too! Im sorry for the delay in leaving you a review... I had a great time coming to stay with you and meeting you all. You welcomed me into your family straightaway and made sure I ate extremely well, the food was delicious. Each day I had a different school or… read more university to visit. This was my first volunteer experience and my first time teaching english. It was very relaxed and mostly you were just there to get the students to practice their english with you, asking them lots of questions and them asking you lots of questions. They love to hear what you think of their country and also about where you are from. They were a delight to spend time and there was a lot of laughter in class, plus the teachers were so nice too. Each day was very busy with a visit to one or two schools and then in the afternoon going for a cycle ride to the nearby rice fields or visiting the ancient site Gunung Padang. We also visited a early morning market where we saw the community getting involved in early morning exercise classes :) looks like a great idea! I also went by train and stayed a couple of days with another family (who were a relative of Kumis's) who ran an English Club in their town Sukabumi. It was great to spend time with another family and they looked after me well too. We spent one afternoon in the town seeing a street procession, watching traditional costumes and dancing. The next day I had to judge an english story competition, I honestly was so impressed with every student, they were so talented and to memorise the entire story in english and act out every bit, was really special to see and hard to choose a winner! So really Kumis you offer so much in return for your efforts at being an english teacher - thank you! Yoyoy, Kumis's mum is a lovely, warm person who looks after you well and helps you prepare your breakfast, and also a good person to practice your bahasa with, as she speaks little english. Demi Kumis's wife is lovely too and cooks great meals. John and Jefry who will often take you to the schools on their mopeds and join in outings around the place were very friendly smiley people. So Terima Kasih everyone!! Senang Bertamu Anda!! Just some pointers, maybe have a good book for the evenings, as you can often be on your own, (or a good time to swat up on your bahasa :) ), but actually usually you are quite tired by the end of the day, that you tend to fall asleep quite early anyway :) ...Also bring long trousers and long tops to visit the schools each day and maybe a pair of smartish shoes. I had an amazing time volunteering with Kumis and his team in Cianjur in April 2016. This was my first workaway experience and will be a very hard act to follow! I volunteered in a prison and a variety of schools, even visiting a private house to do private conversation lessons. The work is relatively easy as it is more about engaging the students… read more to talk English, rather than teaching them grammar, vocab etc. The range of experiences on offer was very interesting, as you visit a new place each day. Kumis' family were very welcoming and Mama made me feel very much at home- even though she doesn't speak any English. Jon and Jeffry were also amazing as they took us to visit the floating village, the national park and the waterfall near Cianjur, and Kumis' bike tour of the rice paddies and rural villages around Cianjur is definitely recommended. The accomodation is basic but living in the maze of backstreets in Cianjur is such a cultural experience, and you really get to see so much Indonesian culture! The food in Cianjur is also amazing- definitely try the lontong and rice porridge. Thank you Kumis, friends and family- good luck with everything in the future! This was a really great experience staying in Kumis' home in Cianjur. Thanks to Kumis, his mother, and all of their friends and family for looking after me so well. During my stay in Cianjur, I taught at many different schools, colleges, and even a prison. Interacting with the kids was great fun, they seemed thrilled to have a foreigner visiting… read more them. Apart from the teaching, there were other activities, including cycling, sports and eating at local restaurants/night market. We also had some day trips to a botanical garden, a waterfall, an archaeological site (Gunung Padang) and the floating village. Thanks, and I hope I can come back to Cianjur one day. I really enjoyed my time with you and I’m happy to have made these good experiences while teaching and making one of your cool tours! I loved the cycling tour with you even It was burning hot! My shower in the waterfall was just amazing and getting to know your friends was very entertaining. I could write… read more about the badminton, karaoke, botanical garden, the car free day, floating village and so on… All this was great!!! Thank you so much for everything! It's been an incredible week in your home and getting to know Cianjur! I'm so glad I got the chance to stay with you and learn about your culture. THANK YOU so much for organizing all the activities, delicious meals and volunteering. I absolutely loved talking with all the students… read more and seeing their smiling faces. I will remember this experience for the rest of my life! I hope to come back again someday. Good luck with the future! Thank you so much for being such wonderful hosts for my first visit in Indonesia. I elt accomodated and looked after from the start! Thanks for all the food, cleaning and laundry you did (Yoyoy is a patient lady, bless her heart) and thank you to Kumis to showing me around Cianjur, introducing me to many wonderful… read more people and real experiences. But most of all thank you for the pleasure of letting me stay and helping me organize my trip! without the kindness of people like you my trip would not be possible! I wish you all the best for the future! Keep in touch. I stayed with Kumis and his mom, Mama for one week. It was the perfect way to be introduced to Indonesian culture. This was my first workaday experience and better then I could have imagined. In addition to volunteering at different schools and meeting the local youth who are so curious, funny and friendly, I also got to see so much of cianjur.… read more Everyday we had a different activity from going to a floating village to visiting the jungle and going on a bike ride through rice fields. I have so many wonderful memories that have made me fall in love with Indonesia. Thank you Kumis and friends who made me feel included, safe and happy. What an amazing experience, this is everything workaway should be. I spent two weeks in Cianjur and loved every minute. The work was easy and fun as the kids were generally very enthusiastic and excited to learn and interact with an English speaker. There is a great mix of sightseeing in the area and I found myself at a lot of lovely spots… read more that I would have otherwise never seen. The kindness and hospitality of the Indonesian people is awe-inspiring and I felt so welcomed wherever I went. Thank you for everything Kumis & Crew. Volunteering with Kumis was one of the best experiences that I am so lucky to be able to treasure for the rest of my life. I travelled in other areas of Indonesia first, then arrived to Java and followed Kumis' instructions to Cianjur. This is the way to experience real Indonesia, you will be one of the only English speakers around (which is… read more part of why you are there!) Don't worry, the area is very safe, I ran or walked alone almost everyday with no problem-- people are very nice. There is a convenience store across the street where you can get most anything you need, so you will feel at home. Everyday was almost completely different! Usually, mornings were spent volunteering ( a different school everyday) and afternoons were spent sightseeing, but sometimes it was afternoon tutoring and morning sleeping :). The schools were amazing--- everybody is so happy to see you and unbelievably welcoming. I will never forget many of the people and experiences. Once, I drove hours away and was the first volunteer to meet the village; I met all of the officials and had lunch with the teachers family afterwards. In the afternoons we rode bikes and saw rice fields,the town, tea plantation-- you have a personal tour guide who is able to take you all across Java! Kumis and his mother are amazing-- they will cook you delicious food or take you to local restaurants, even wash your clothes! When I got sick, his Mom rubbed my back with oil and they arranged me transportation to get home. I have so many good things to say, and a big thank you!!!!! Terima kasih Kumis! Aku suka Cianjur! Aku ingin makan gado-gado atau seblak! I wish the best to both of you, and hope to keep in touch with you and your team, Syifa, who welcome me like a pincess, Della and her Raisa’s voice, Jon my favourite driver and… read more guitar player and Indri, who’s too sweet for me in the Johny Club. I hope your program in these schools will go on and go on, and go on and go on. I cannot thank you enough! This experience has gone above and beyond my expectations. The students are so bright and so kind and teaching in public schools has been a dream!! And to make my time even better I had the privilege of your and your mother’s warm hospitality. Few people in the world have a heart as bis as you Kumis.… read more You work hard and truly care about all your students and guests. And we all appreciate you. Thank you for all that you do. I will never forget when you slept on the floor beside me so you could look after me when I was sick. I am forever grateful for you and my amazing time here. Jaga diri baik-baik dan Terima kasih banyak!! Thanks for joining our teaching volunteer program in Cianjur-West Java, Indonesia. They are great, reliable and easy going helpers. They joined The Volunteer in Java Program in Cianjur West Java for about two weeks. Actually, two weeks is not enough to do a volunteer project in Cianjur, West Java, but they have been… read more great. They visited some schools and taught English the local students, such as Elementary and High School students. The students really enjoyed studying English with them and many students always wanted to have photographs with them, just like celebrities. Anyway, Stephen is easy going and cool man. He can learn something new quickly. Rebecca is a wonderful and cool woman. The most memorable time for the students when they were having a field trip to the Botanical Garden. She taught English at schools. In our program not only teaching activity, but they also did a sightseeing tour with the students, such as visiting the tea plantation, rural village, rice field terrace, Botanical garden, floating village, traditional market, water fall, hang out in the café (singing and dancing) and also climbing a volcano and swimming in the hotsprings. They also did a mountain bike to rice paddy and the jungle, etc. They also really enjoyed the local food. When they would like to continue their journey, all of us were so sad, especially my family. I personally will never forget them. One more, thanks for your help and I will definitely recommend Rebecca and Stephen as helpers. Good luck with your travels and your future. Hope one day to see you again. Thank you for this opportunity to experience Cianjur “the local way” and the amazing schools, children and teachers. We had such a great time teaching the kids English and helping the lovely welcoming teachers. I hope they won’t forget us, because we certainty won’t forget them all!! 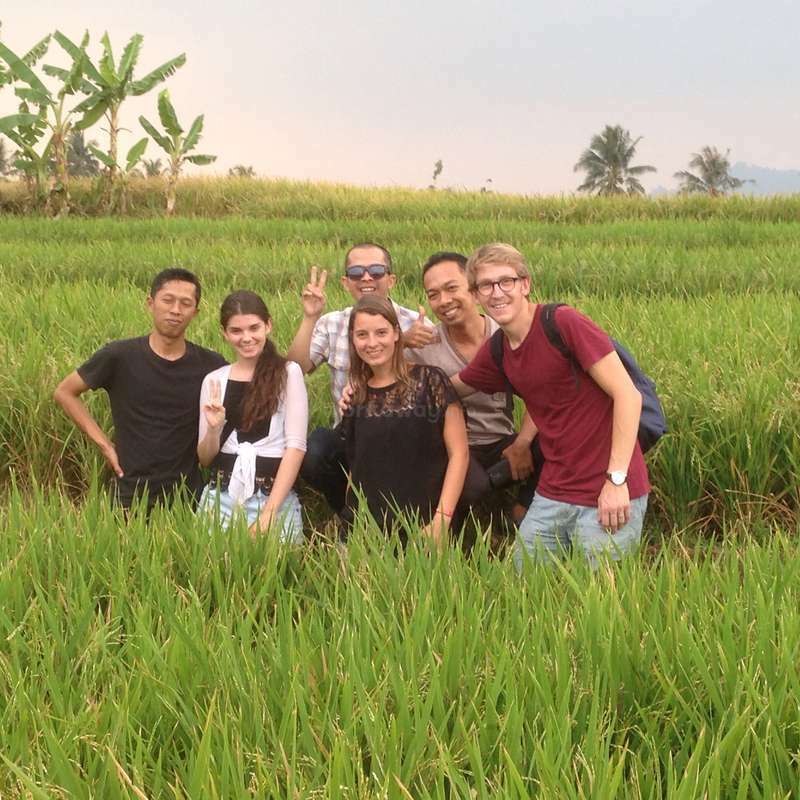 Thanks so much for the awesome bike rides… read more around Cianjur and the rice fields. It was so funny when other fell into the rice paddies, hahahaha!!!! Please tell your sweet mother “thank you for having us”. The botanical gardens, with all the 17 year old tourism students, was the best day we have had in Indonesia. They were all so knowledgeable about the gardens and Indonesia, enthusiastic, happy, kind, full of energy and thankful to us. I hope they all continue to have these attitudes. Lastly, thanks for having us and entertaining us. It must be said that for a couple of days it did seem as though you were fed up with having to deal with westerners in your home and in your life. I think you desperately need to take a break. I hope you find some time for yourself very soon, because I think you need it and definitely deserve some time out for Kumis. All in all though a fantastic experience and one the any volunteer would appreciate. P.S I made some really great friends here – westerners and Indonesians. gaining some teaching experience had initially been the reason why i had arranged my trip to cianjur. however, i got SO much more out of it! 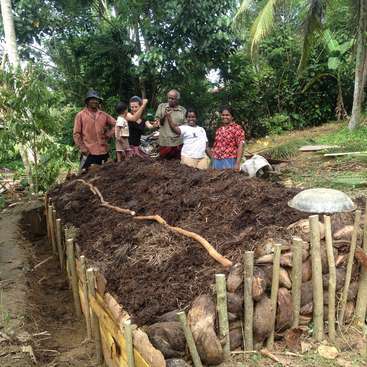 kumis' homestay program proved to be THE program to really get in touch with the local people. having learnt how long this program has been running made it unbelievable for me to see how much enthusiasm and… read more energy he still puts into it. he isn't just the coordinator of the workawayers who want to join in; he also is the one who makes sure breakfast is ready on time, dinner is served before you go to bed, friends of his stop by now and then [and believe me, he's got loads of them! ], that sightseeing activities show you around the area and not only that: he will always be part of them as well. it's a homestay program that gives you as much insight and participation in local life as possible and i seriously doubt that without it i had ever found out so much about sundanese and indonesian culture as well as the muslim faith. thank you so much, kumis, for that memorable visit! You are such a unique and fun character – THANK YOU SO MUCH for everything over the last few weeks, it has been a great experience and one I will never forget. I have really enjoyed visiting the different schools everyday and seeing the happy and excited faces of all the students. I also had so much fun getting to know the amazing team… read more at Interlingua. It really is such a joy to spend time with them, and hopefully help in some small way with their fantastic work teaching English to young people in Cianjur. The team are all so kind and generous and I know they are having a positive impact on their students. Thank you also for making sure I got to experience the “real” Indonesia. Trying all the delicious food, cycling around the rice fields, seeing the tea plantations and visiting the botanical gardens have been just a few of the highlights that have made my stay here so much fun. Thank you again for all you have done, I will always remember your jokes and our games of Indonesian poker at the milk bar! I will miss it here a lot, but I take some very happy memories with me. I am so grateful to have met Kumis through workaway - this was a truly incredible experience!! The students of the center are deeply committed to learning English, which made it very enjoyable to work with them. I felt like I had become part of a family during my two weeks there and have continued to stay in touch with many of them. Everyday at… read more the center was different - we had fun playing music and teaching each other songs and dances before classes, playing games, etc. Kumis also brought me to several schools in the area to guest teach. Outside of the volunteer project, Kumis went above and beyond his role as a host. He took my friend and I on a variety of outings while we stayed with him including the floating village, mountain bike rides, tea plantation, local rice farm... Mama Yoyoy and neighbors in the surrounding homes were so sweet as well. You'll feel like family!! Feel free to contact me with questions. I highly recommend! Thanks for joining our teaching volunteer program -West Java, Indonesia. Sarah and Luca are great, reliable and easy going helpers. They joined The Program for about two weeks. Actually, two weeks is not enough to do a volunteer project but they have been great. They visited some schools and taught English the local… read more students, such as Elementary and High School students. The students really enjoyed studying English with them and many students always wanted to have a photograph with them, just like celebrities. Anyway, Luca is easy going and cool man. He can learn something new quickly. He also played piano and guitar very well with our friends. Sarah is a wonderful and cool woman.In our program not only teaching activity, but they also did a sightseeing tour with the students, such as visiting the tea plantation, rural village, rice field terrace, Botanical garden, floating village, traditional market, water fall, hang out in the café (singing and dancing) and also climbing a volcano. They also did a mountain bike to rice paddy and the jungle, etc. They also really enjoyed the local food. When they would like to continue their journey, all of us were so sad, especially Interlingua Crews and my family. I personally will never forget them. One more, thanks for your help and I will definitely recommend Sarah and Luca as helpers. Good luck with your travels and your future. Hope one day to see you again. What an amazing experience! We spent 9 days with Kumis and the english school team and it was much more than what we could have expected! Thank you SO much for everything! Thank you also to mama who took good care of us and ... cooked for us: Yummi yummi! :-) If anybody is looking for an authentic experience with local people, local food and great… read more activities, this is the perfect place! It's unbelievable how the people/students in Cianjur love to meet westerners! Thank you so much for your lovely hospitality and introducing me to Cianjur. Your home is lovely and your mum is amazing. I love her! I will miss your fantastic fruit breakfasts and afternoons at Interlingua. Special thanks to Sting, Ryan and Rico for being so fantastic and making me feel so welcome. I really recommend Sting’s… read more school, his students are so friendly. Continue with the amazing hosting. What can we say about you? First off, we will say you have such a great thing going here. You not only provide a comfortable home to your guests, but a very memorable, meaningful and special experience. I felt more like a friend than a volunteer. Not only do you provide this experience for the guests, but an amazing opportunity for… read more the students. You, Mama Yoyoy, and the Interlingua team became our own little family for two weeks. The time has gone by way too fast! We want to give a special thanks for helping take care of us when we both became sick. You and the Interlingua team were so understanding and took special care to make sure we could recover quickly. We cannot thank you enough! Even getting us special meals and ginger tea! What we enjoyed most was living in your cute, little village, riding motor bikes everywhere, the beautiful botanic gardens, and of course hanging out with the awesome teachers at Interlingua. Also, the students' huge smiles when we would make fools of ourselves. We also loved the public schools where we got to learn traditional dance and hear beautiful music. Oh yeah, and the high school graduation was amazing! And of course the cutest children we have never seen playing marbles an on your porch and yelling BULE, BULE!! So, basically we loved EVERYTHING!!!! So, thank you so much Kumis for inviting us into your home and doing what you do! You are kind, respectful, and very charismatic! You have a positive, playful attitude and do the best little dance and laughs! You are king of BULE! Thanks again! You have a big LOVE and share your warmth and enthusiasm with your visitors to make us feel special. This was my first ‘workaway’ placement, and it was more like a vacation than work. I loved going to the schools to teach, because the students and teachers were so kind and welcoming. Teaching here was so fun, because all the staff is… read more CRAZY and treated me like family. For sure. Cianjur has the friendliest people I have met in SE Asia. Mama Yoyoy is such a sweet momma, and I appreciate her hospitality-good cooking, laundry, and sweet smile. Kumis, you do so much to bridge the cultural experiences and to show foreigners the true Java society. The week I spent here is one of my best times on my entire 8 months of travel. I will remember it always and hopefully be able to return. This is not goodbye. We shall meet in Sydney at Christmas! Keep up the good work, but slow down a little, Kumis!!!!! You work too hard! I want to say so much thank you and add more mustache on your face. But really I thank you and your Mama so much for hosting me. It’s been such a new experience to volunteer in Indonesia. You let me see your country in another perspective which is probably to experience if I just stayed it in big cities. Cycling was a… read more bit tough for me, but seeing blue sky, green rice field and colorful houses was unforgetable. Climbing up that tea plantation hill was awesome with a few scrathes on my arms and legs. I really enjoyed the peacefulness up on the hill and get away from the heat in Cianjur, also seeing some lady boys. Thanks for making me the celeb in schools and giving me a chance to teaach in public schools. I think this experience will help me decide what I want to do in the future, after going back to the States!!!! It was really nice to know some of the students. All of them have great dreams and I hope I can meet them again the USA, Japan, or Indonesia. I hope you will get more support for this homestay program. The next time I see you I hope you will have five cars and a big house!!! Wish you the best in the future and see you again soon. Peace!!!!! Thank you so much for your hospitality and kindness and for introducing us to your lovely country and giving us an insight into your culture and your life here in Cianjur. Exploring the rice field, the tea plantation as well as Jamal’s village was such a wonderful experience that we will never forget. Our trip… read more to Yogyakarta showed us the variety and colourfulness of Indonesia such as the impressive temples and the beautiful beaches. A special thank you to Kumis and his wonderful mother! You are such a great hosts and you made us so much feel at home, always reading our wishes and making all our dreams come true. We wish you all the best with your program which is also speacial and we both truly believe that you can make a difference in all the kids’ life. I am so happy to have spent the last three weeks in such a great place with so many nice people! Everyone I’ve met has been so warm & friendly! It has been such a great experience going to all the different schools and feeling like a celebrity! Thanks for taking me on all the great bike riding trips… read more although I’m surprised I can still walk after the first 5 hours day. But I’m pleased to say I never felt into a rice field. Thank you also for feeding me well despite the chili I really enjoyed the food. And to all the amazing people who made my stay even more fantastic, so many great people doing such a great job. I will miss everyone so much and hope one day I can make my way back to Cianjur. Thank you so much for a wonderful week in a part of Indonesia we would never have seen or experienced without your guidance. We will always remember our trips to visit the school children at the local Muslim school and to visit Jamal’s beautiful village. We learnt so much about your culture through your company, food, lifestyle, religion, dancing… read more and of course music. Your program is so speacial in that it gives real tastes of Indonesia. We can not thank you enough for this introduction to your country. Thanks again so much for your hospitality and kindness. Kumis is an amazing host, and helped us start out our long trip to Indonesia very effectively! During our time in Cianjur, we had an excellent balance of time helping out and fun activities of our choosing. Helping out with English teaching was very rewarding for us, and we had a variety of opportunities to contribute - from judging singing… read more contests and English quizzes at a local high school, supporting the dedicated team, and travelling to neighboring cities like Sukabumi and Cipanas. We helped with a wide range of ages, from young beginners to University students. In our free time, Kumis was a great at helping us discover awesome experiences. We went cycling through the countryside, and at our request, he helped us organize a trek up the nearby volcano Gunung Gede, which would have been much harder without him! The volcano was definitely a highlight for us - it was a grueling trek (which we expected) and the view from the top was magnificent. You can count on Kumis to work hard to make sure you get the most out of your experience. If you are looking for a chance to help out, get an authentic cultural experience and see a bit of the real Indonesia outside the tourist loop, don't miss this chance! I could not have chosen a better way to begin a year of travelling! Over the past month I have learnt so much about Indonesian and Sundanese culture and seen and done so many fantastic things, from seeing Borobudur temple in Yogyakarta, learning to ride a motorbike, I have done so many things that I had never imagined I would. Teaching at all… read more of the schools around Cianjur had been really rewarding, all of the children are so enthusiastic about learning English and the teachers have been so welcoming. This is a fantastic school with excellent teachers and lovely students. Obviously, teaching there has always been lot of fun and I wish the school every success in the future. Huge thanks to Jamal and Indri for helping and look after me so well. Also, big thanks to your mum for being so welcoming and making me feel very at home, as well as cooking delicious food! Kumis, thanks for everything over the past month, I truly have a wonderful time and I could not recommend your programme more. Never did I think that coming to this foreign city in a foreign country alone would I feel so comfortable and at home. These past three weeks have been a true adventure in so many ways. From teaching to day trips to full week long trips, Kumis does an… read more incredible job hosting. He always seems calm and relaxed even though he works so hard planning and organizing volunteers and making sure we have the comforts of home. Teaching has been such a rewarding experience. I love that Kumis exposed me to all the different styles and types of schools that are available in such a small city. It is really amazing to see the enthusiasm of the kids when a BULE enters the school, along with the excitement of the staff. I don't think that feeling could ever get old. Of course, teaching was always a blast! Introducing games I knew as a kid and games I learned through my travels always brought curiosity and entertainment with the kids. Not to mention the staffs excitement to teach! But teaching was not all that made my time here forever in my memory. All the small and big trips that we took over these past few weeks have been just as special. All those bike rides in the rice fields, helping me become a stranger bike rider and truly challenging me, taking a day trip to the botanical garden, and exploring the volcano in Bandung. Kumis really shows that is not just a teacher. He is a man that can do anything from helping prepare dinner, to coordinating your visa to being your tour guide, locally and throughout Java. I will never forget our epic long weekend in Yogyakarta. All the beautiful sights and hidden gems that were shown to us really created a trip of a lifetime. The hospitality shown here has been so unbelievable. Mama Yoyoy has such huge heart and open mind to let all of these volunteers cycle in and out of her home. She has taken such good care of me and showed so much kindness since I have been here. She is truly my Indonesian mother. No amount of money could ever pay for how wonderful and special this time has been. Because I have stayed here for a while, I found it hard to think that this is just a volunteer program. I have formed a new family here and do not feel that any amount of money could ever pay for these memories. Thank you to everyone I have met through out this journey. I do not think you will ever know how much you have changed me and help me become a better person. I will wholeheartedly miss you all. One day, I hope to return to this beautiful city…… until next time…… FUN CHECK!!!!!!!!! We really really liked to stay at your place. It was a great opportunity to know the Indonesian way of life. We experienced so many things. You always made us feel comfortable and welcome! We enjoyed attending your brother’s wedding ceremony. It was a great experience for us. The food was awesome! Then, we watched a big… read more music concert in town. We even could be backstage and join the guest stars! We loved to go to different schools and of course teaching in your own English school “Interlingua English Center” and doing promotion with your teams. We hope your school will get more students because of the great promotion. We also really appreciate you did all the sightseeing tours with us! There are so many beautiful places/spots around Cianjur. We visited a beautiful rice field terrace, Botanical garden, waterfalls, megalithic heritage, tea plantation, volcano and hotsprings. 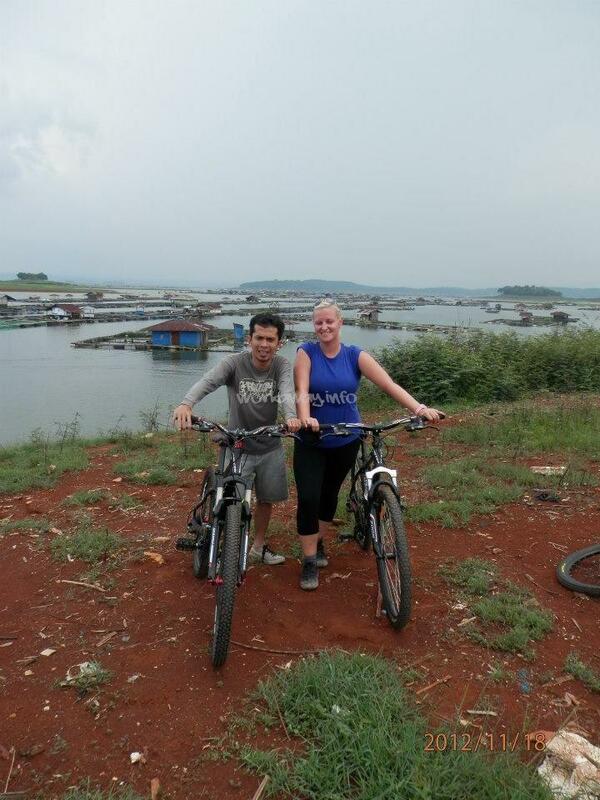 We also loved to go cycling to the countryside, rice field, rainforest, floating village and around the town. We love hanging out at Fun-fun Milk! We will miss our Fun-fun Milk nights so much. Thanks for killing all the cockroaches. We do not know how we will survive without you in Asia. We will let you know!!! We will miss our daily breakfast with the delicious fruits, especially water melon and mango. Even, if we still don’t like spicy, we have experienced a lot of RAOS things to eat. We will miss the pancake, lotek, lontong, mie goring, nasi goreng, and nasi liwet! Your mom is the best, we like her a lot and we will miss her a lot and we will miss her kindness and her way to teach us Sundanese. Selamat pagi, Selamat makan, Selamat tidur, sami-sami. NUHUN PISAN!!!!! We will never forget the walk through the dangerous jungle to the volcano in Bandung!! !Run, run – not now – stop – ok – ok – now hurry- run as fast as you can to the car!!! We had a really really great time! We are looking forward to going to Yogyakarta with you! It is gonna be AWESOME!!!! My experience here was interesting and I could understand so many things about local culture and life. The work as volunteer was amazing because I could visit different schools and meet teachers, being able to learn teaching methods and traditions. I definetely recommend this program if you want to discover the real Indonesia and avoid turistic… read more circuits. You can arrange tours around the area, in the wonderful rice fields and tea plantations, or even enjoy concerts and food in town. Sorry Kumis for the delay review.... After travelling for over ten years doing variety things the ten days spent volunteering with Kumis has been a life changing experience change. This is good practice for someone who wants to start teaching English full time but no matter what, you will have a memorable experience in Cianjur and maybe you won't want to leave! What an amazing time volunteering to help with English learning! Kumis is a great host and has many connections to different schools throughout Cianjur. I was fortunate to visit many different schools and also get in some great sight-seeing to balance out the week. Kumis really runs a great program that I would recommend! I would advise to stay at… read more least two weeks to really make an impact and see all the amazing sights in the area.